Hurricane Irma is undoubtedly historic. It is one of the strongest, largest, and fastest hurricanes in recorded history, with an aspect of unpredictability that amplifies its danger. Experts call it catastrophic, and the Governor of Florida warns that it is deadly beyond belief. Hurricane Irma is not the only historic thing to happen this week, however. Along with Irma has come a large-scale, mass preparation by Floridians as they race to prepare for the worst-case scenario. Stocking up on supplies such as water, gasoline, food and house-hold items, the dramatic increase in demand and the predictable decrease in supply has caused a massive shortage of these items across the state. Many people have had to leave their county just to find bottled water or gas stations that are still able to provide gas. The second historic event along with Hurricane Irma is not the shortage of supplies, but rather the effect it has had on the market. 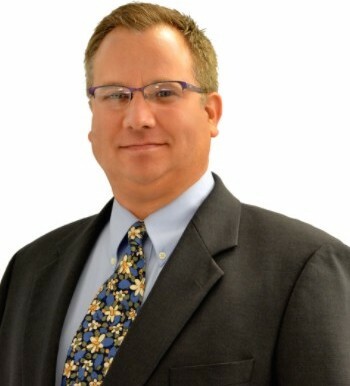 Earlier this week, reports began to pour into the Florida Office of the Attorney General (the agency under the Department of Legal Affairs that oversees most consumer-protection in the Florida) of stores and merchants increasing the prices of their goods to drastically increase their profit margins. This tactic, called “price gouging,” means that the seller is aware that the buyer has what is referred to as an “absolute demand,” or “dire need.” Basically, the sellers know that the buyer will buy the item (let’s say, water bottles for example) at any price, so the seller holds all leverage in the transaction. If you think that this type of predatory tactic in the market is illegal, guess what? 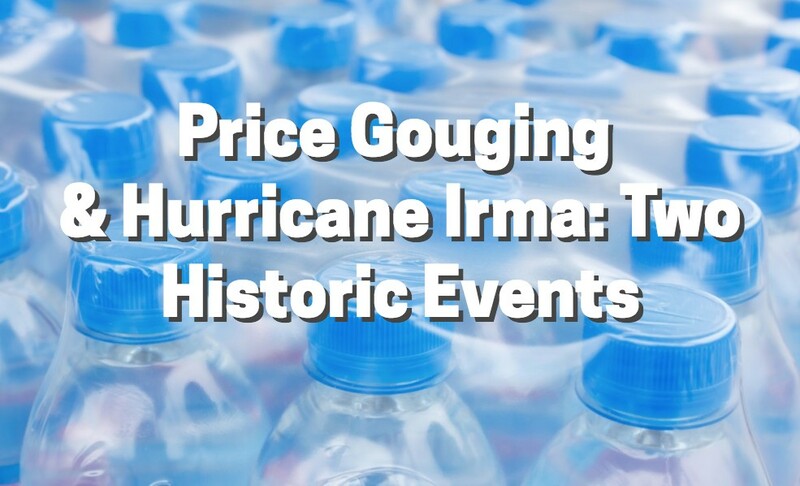 You’re 100% correct – in the State of Florida, price gouging during disasters such as hurricanes is illegal, and if you’re found guilty as a seller, you could be fined thousands of dollars per instance (meaning, each time you sold an item). The Florida Office of the Attorney General has re-opened its price gouging hotline, which is phone number that you can call to report price gouging for the AG’s Consumer Protection Division of Attorneys to investigate and prosecute. Florida’s Attorney General Pam Bondi encouraged citizens to call the hotline at 1-866-966-7226 to report any price gouging. Violations may also be reported online at http://myfloridalegal.com. Thus far, thousands of people have called the hotline to report instances of consumer violations and price gouging. Most notably, Amazon.com was contacted by the AG and instructed to investigate reports of increased prices and demanded by the AG to reimburse customers, which it has agreed to do. Additionally, it is important to keep in mind that airlines are not required to obey this Florida law, as they are governed by the FAA (a federal agency). However, some airlines have frozen their prices to allow people flying out of Florida to do so at an even, capped rate. Hurricane Irma is both historic in and of itself, and it is historic in the effects it has had on our market before it has even made landfall. The price gouging witnessed thus far is both illegal and immoral, so the response of Florida’s attorneys charged with protecting consumers has been equally swift and proactive. The ultimate fate of Florida under Hurricane Irma is uncertain, but the degree of preparation achieved by both Floridians and by Florida’s legal department will play a huge role moving forward.